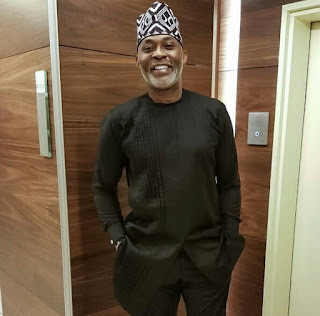 The veteran, experienced and popular Nollywoood actor, Richard Mofe Damijo, Popularly known as RMD, who recently celebrated his daughter's birthday with an heartwarming message, took to Instagram to share his counter opinion about an argument that asking God for money or a house is stupid and total waste of time, making it look the Grace of God is nothing. 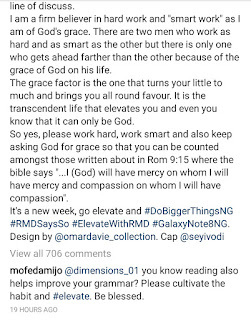 In this argument, RMD pointed out that Grace of God and Hard work suppose to work together, as nothing obvious can be achieved when you distance yourself from praying to God for provision of all needs. Recently, I heard a rather interesting argument that asking God for money or say a house is stupid and an utter waste of your time and God's own as well. The person who shared this thought went on to argue that all you need is hard work. Work hard and you'll make money, work hard and you'll get the house you so rightly desire and I'm sitting there like "hmmmm...". 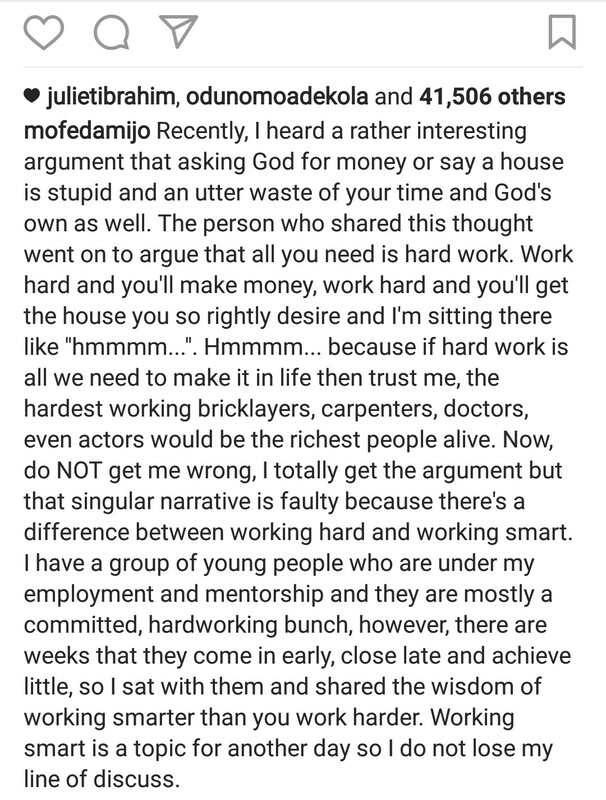 Hmmmm... because if hard work is all we need to make it in life then trust me, the hardest working bricklayers, carpenters, doctors, even actors would be the richest people alive. 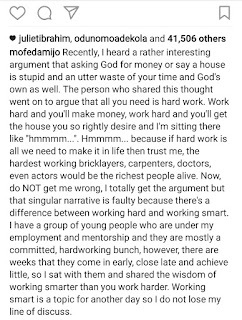 Now, do NOT get me wrong, I totally get the argument but that singular narrative is faulty because there's a difference between working hard and working smart. I have a group of young people who are under my employment and mentorship and they are mostly a committed, hardworking bunch, however, there are weeks that they come in early, close late and achieve little, so I sat with them and shared the wisdom of working smarter than you work harder. Working smart is a topic for another day so I do not lose my line of discuss. I am a firm believer in hard work and "smart work" as I am of God's grace. There are two men who work as hard and as smart as the other but there is only one who gets ahead farther than the other because of the grace of God on his life. The grace factor is the one that turns your little to much and brings you all round favour. It is the transcendent life that elevates you and even you know that it can only be God. 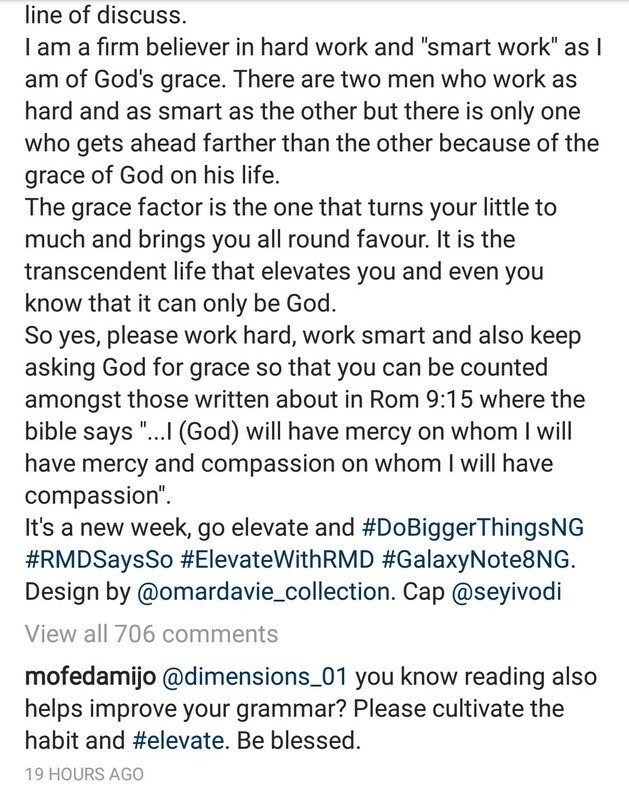 So yes, please work hard, work smart and also keep asking God for grace so that you can be counted amongst those written about in Rom 9:15 where the bible says "...I (God) will have mercy on whom I will have mercy and compassion on whom I will have compassion".